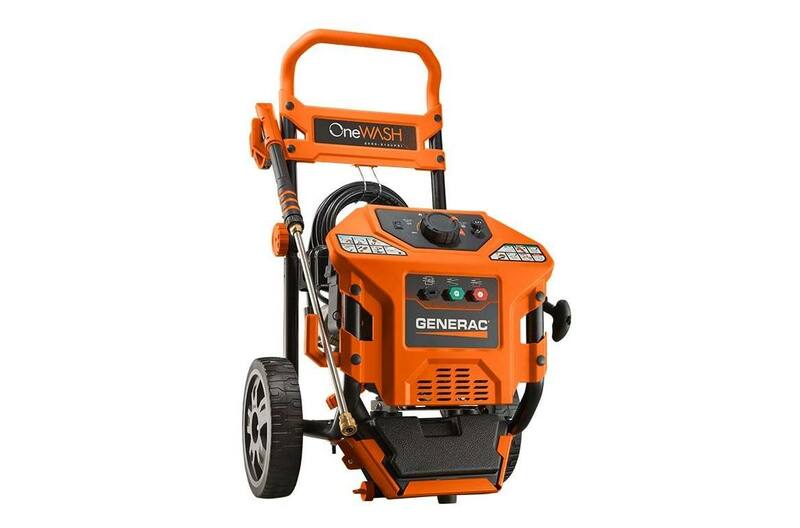 The new OneWash™ from Generac. It’s four power washers in one. The OneWash features the largest, most powerful engine in its class. And the innovative PowerDial™ provides total control at the turn of a dial, so you can easily adjust the intensity of the spray to clean a wide range of surfaces, all with a single, easy-to-use control. 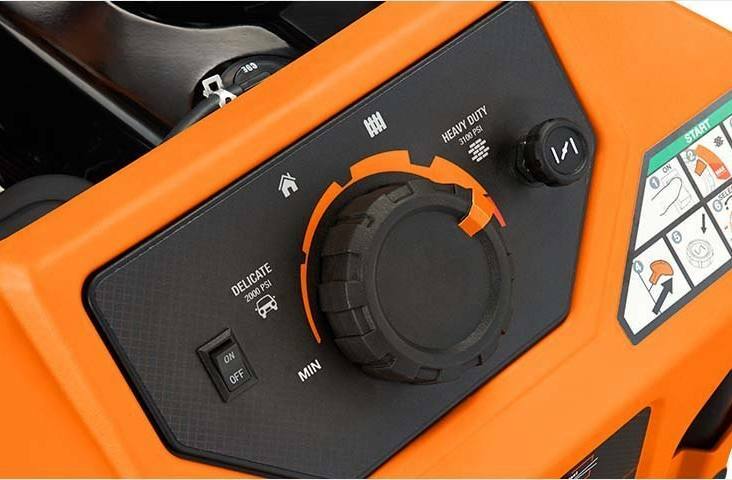 PowerDial™ Variable-Pressure Control: Provides total control at the turn of a dial. Easily adjust the intensity of the spray to clean a wide range of surfaces with a single, easy-to-use control. Folding Handle: Lets the already compact OneWash take up even less space in your garage or shed during storage. Makes it easy to transport, too. Drainable Detergent Tank: Integrated 3/4 gallon tank with drain plug provides convenient onboard storage for cleaning detergents. Can be quickly emptied and cleaned with a garden hose. 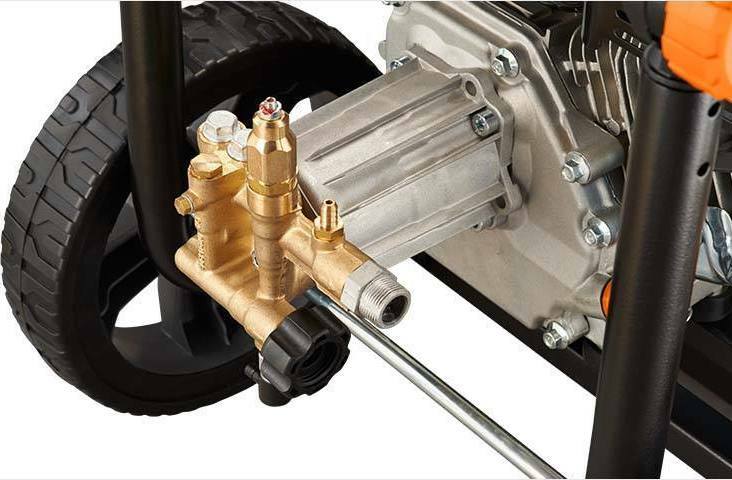 Axial Cam Pump with Easy Access Hose Connections: Easily make hose connections without having to kneel on the ground. 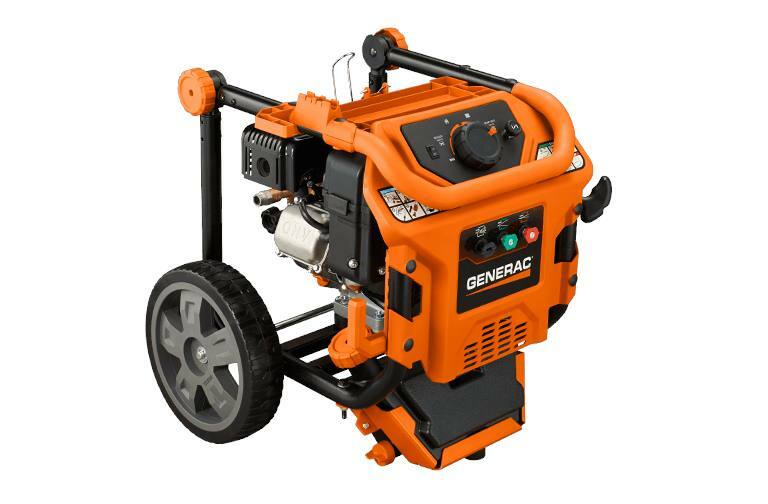 Generac 212cc OHV Engine – Largest, most powerful engine in its class delivers 2000 - 3100 PSI at 2.8 GPM. 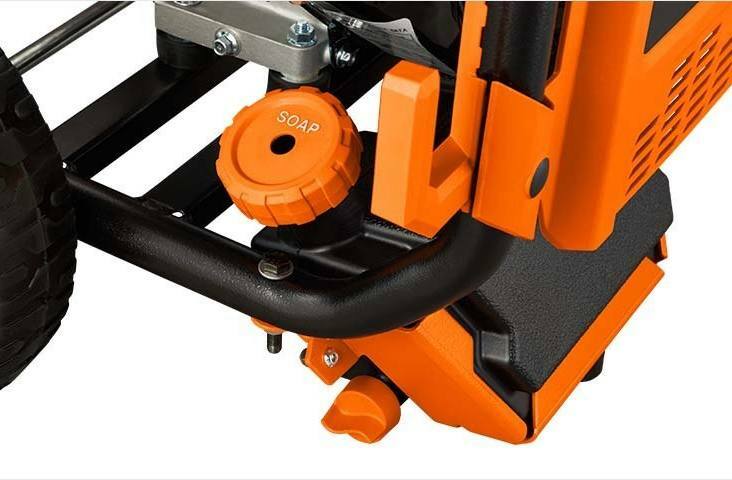 Comfort-grip Handle – Provides greater comfort for ease-of-use. Easy-to-pull inverted trigger reduces fatigue. Rear hose connection on spray gun provides better balance and comfort.